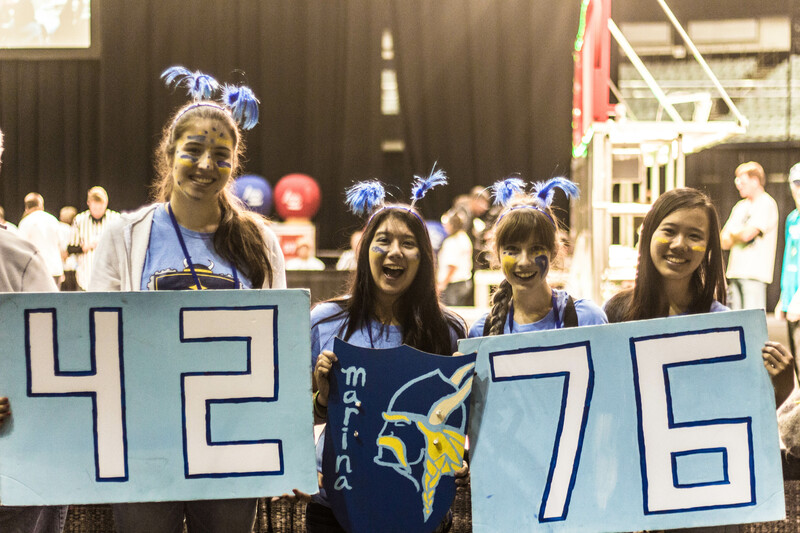 [soliloquy id=”955″]After competing at both the Los Angeles and Las Vegas Regionals, Viking Robotics finished its 2014 season! Thanks to the dedicated students and mentors, this year turned out to be quite successful. The team was picked for playoff alliances at both competitions and made it to the quarterfinals both times. Thanks to 5089 Robo-Nerds and 968 RAWC for being great partners at LA, and thanks to 4322 Clockwork Oranges and 3309 Friarbots for teaming up at Las Vegas! Team 4276’s robot performed well during the competitions, earning a reputation as one of the most reliable shooters on the field. At the competitions, the team continued to work on the robot–fixing any problems that were noticed during play–and met with members of future alliance partners to discuss game strategy. One of the highlights of the Las Vegas competition was the reunion of the 2013 Las Vegas Regional Champions: 4276, 3245 Ravens, and 1717 D’Penguineers! This alliance won the match handily with a final score of 220-15. Though Viking Robotics didn’t end up taking home any awards this year, the team is excited and ready to return for next year’s game!